Masala peanuts is an apt snack to go along with tea in the evening. 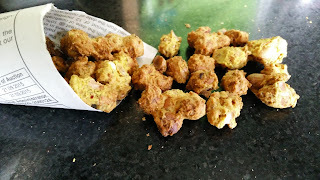 It is really very easy and quick recipe and goes healthy too as these are not deep fried but Air fried in Philips Airfryer. Mix all ingredients except groundnuts to form a a paste. Add little water if paste gets too thick. Add peanuts and coat with the masala with help of fingers. Preheat the Air fryer. 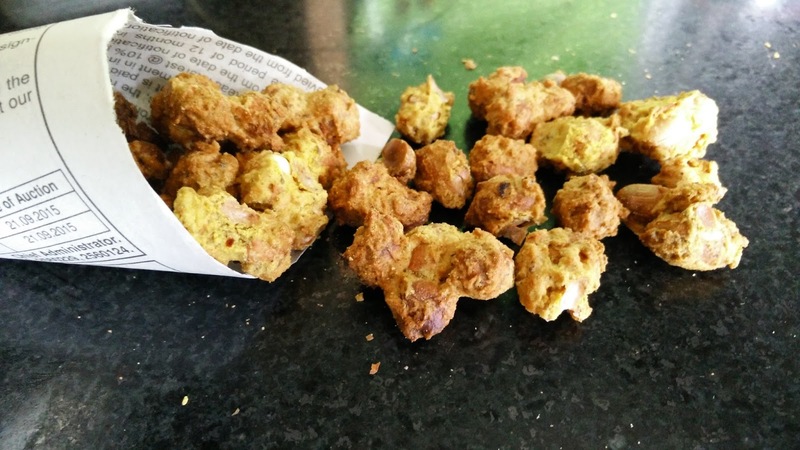 Add masala peanuts by separating the individual pcs as much as possible in airfryer. Air fry peanuts at 200 degrees for 10 min. Allow the peanuts to cool down. Once cool, sprinkle amchur powder on top and serve with Tea.